Microsoft's Surface lineup has received a mixed reception (to say the least) so far, and there's still one noticeable gap in the lineup: a Surface "Mini." With the success of Apple's iPad mini it would surprise no one if Microsoft does have a Surface Mini in the works, but today word is that the smaller Surface could still be months away. According to ZDNet's Mary Jo Foley, the Surface Mini may not arrive until spring 2014. The timing reportedly has to do with Microsoft's desire to launch it with the next General Distribution Release, a minor update that will follow Windows 8.1. It's reportedly being called "Spring 2014 GDR." Microsoft is apparently hoping the stars will align and allow it to release the Surface Mini alongside the update, as well as Windows Phone Blue. That update, which may or may not be called Windows Phone 8.1 at launch, would land on Microsoft's mobiles. There's another reason for the Surface Mini "delay," if you want to call it that (many have taken the tablet's existence as a given, and expected it out by now), and that's a little something called the Xbox One. Word is Microsoft is dead set on getting the Surface Mini out with the Spring 2014 GDR update, and much of the team responsible for that update has reportedly been reassigned to help make sure the Xbox One operating system is shipshape before the console launches on Nov. 22. And there's still the general availability release of Windows 8.1 to worry about, not to mention the GDR 3 update for Windows Phone 8 that's due before the proper Windows Phone 8.1 update. Bottom line, there's plenty to do, and the Surface Mini is reportedly tied tightly to the Windows update scheduled for spring 2014. Not much is known about the Surface Mini, and different rumors have pegged it anywhere from 7- to 8-inches. That's a significant downgrade from the Surface Pro and Surface RT's 10.6-inch displays, but like the iPad mini, a smaller Surface could appeal with lower price points and improved portability. The Surface Mini will likely stick with Windows RT, despite the OS' difficulties. Foley reported the loyalty, if misguided, is spurred on because Microsoft likes how locked down machines running the OS tend to be. 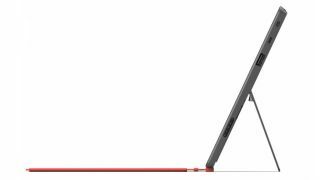 The newly-announced Surface 2 will keep it going, too. That would make the Surface Mini the sole smaller-form tablet running the stripped-down Windows OS. TechRadar previously predicted that smaller tablets from Asus and Acer could fill that void, but those companies and others backed off from Windows RT as soon its fortunes started to turn. Is Windows RT doomed? Here's 5 ways Microsoft can save it.